Vijayawada boasts of a diverse culture crowd wherein people from all religion find a place. A follower of Islam can find a mosque to pray while a devout Christian can find peace in a church. Churches in Vijayawada date to ancient times and speak of the rich heritage and legacy of Vijayawada. Whatever sect you follow, whether you are a Protestant or a Catholic, you can find a church of your faith. Also known as St. Mary’s Church, Gunadala Mary Matha Church finds a special place in the hearts of every pious Christian. It is one of the most tourist spots in the city of Vijayawada. The church is adorned by an iron cross atop the shrine. The church is situated atop a hill towards the eastern side of the city of Vijayawada. Gunadala Mary Matha Church boasts of a museum that houses ancient relics and holy gifts from followers. The Church is open for visitors and pilgrims alike from 6 AM to 9 PM every day. It is so said and believed that Mary Matha appeared atop the hill on 11th February 1858. Rf. Arlati, the Rector of St. Joseph's Orphanage at Gunadala, placed a statue of the holy lady there and the church was built in 1971. St. Mary’s Church holds an annual festival from 9th February to 11th February which is attended by Christians from around the country. The festival is attended by people of all faith and caste but it holds a special significance for Catholics. The festivals begin with a mass on the morning of February 9th and goes on till the night of 11th February. After getting their heads partially shaved and breaking coconuts at the shrine, which is considered holy, the pilgrims enjoy the festivities with much gusto. Lighting of candles is a common practice here. Pastors from various shrines grace the festival with their presence and offer prayers to the Lady. Apart from the annual festival, this church is also thronged by followers on Sundays for the prayers. CSI St Pauls Centenary Church is the oldest historical church in the state of Andhra Pradesh. CSI St Pauls Church was built in 1900. This church belongs to Krishna Godavari diocese. CSI St Pauls Church holds service in English as well as Telugu on Sundays. They also organize Sunday schools for children to learn and appreciate the teachings of the faith in the right spirit. This church is located at BRP Road in Vijayawada and contacted through phone as well as email for further information. This Church was established by Pastor Jacob P. John. After hearing God's voice, the revered Pastor and his family moved to Vijayawada from Chiluvur, small village in Guntur district, and constructed Philadelphia AG Church in 1979. By virtue of the hard work and faith of the followers and the priest, this church is one of the largest churches in Vijayawada and the Sunday service is attended by almost 8000 pilgrims. This Church also holds a TV program named, Brathikinche Vakyam, on various Telugu channels to disseminate teaching of the Lord. A Sunday school is also held here. They conduct four schedules for service at the Church on Sundays from 6 AM in the morning to 12 Noon, each lasting for 90 minutes. Hazrat Bal Mosque in Vijayawada is one of the most ancient and revered places of worship for Islam in India. Located in the heart of the city of Vijayawada, Hazrat Bal Mosque holds a special place in the hearts of the followers of Islam. This mosque houses an ancient relic of Prophet Mohammed, who is deemed and revered as the messenger of God in the Islam faith. 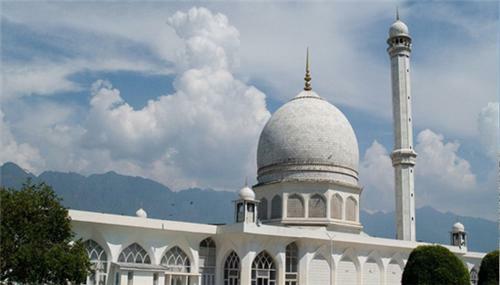 This token of his blessing in these lands make the Hazrat Bal Mosque an extremely holy place for Muslims. The devotees are allowed to view the relic once every year. This occasion is marked by the presence of thousands of devotees who come to pay respects to their Master and pray for their well being. This occasion is more of a festival for the city of Vijayawada when people of all faith and caste come together to celebrate the rich cultural heritage of the city of Vijayawada. This mosque is also a common tourist attraction given its ancient history. The best time to visit the shrine is in the evening hours during sunset. One of the most important attractions of Vijayawada is the Kanaka Durga Temple which is popular not only among the Hindus but among tourists of all other religions because of its architectural marvel. The city comes alive during Dusshera, when thousands of pilgrims visit Vijayawada only to be part of the Dasara celebrations in Kanaka Durga Temple. Another important temple in Vijayawada is the Subramaya Swamy temple located atop a hill, where thousands of devotees visit the temple on the occasion of Skanda Sashthi festival.